A LOVELY FILLY WITH PLENTY OF LENGTH ABOUT HER, REALLY SCOPEY AND GOOD STRONG HINDQUARTERS. We are excited to offer this Pride Of Dubai filly that was purchased at the Magic Millions sale from world renowned Coolmore Stud. A robust tough type of a horse lots of physical strength also forward and bold. Consequently she has all the attributes to be a sharp and a precocious 2yo. She is agile and seems like she will have a bright future. Powerful hind-quarters and a chest as a result will constitute phenomenal SPEED. Also a great mover and very light on her feet. Great muscle tone and bone for such a young horse. 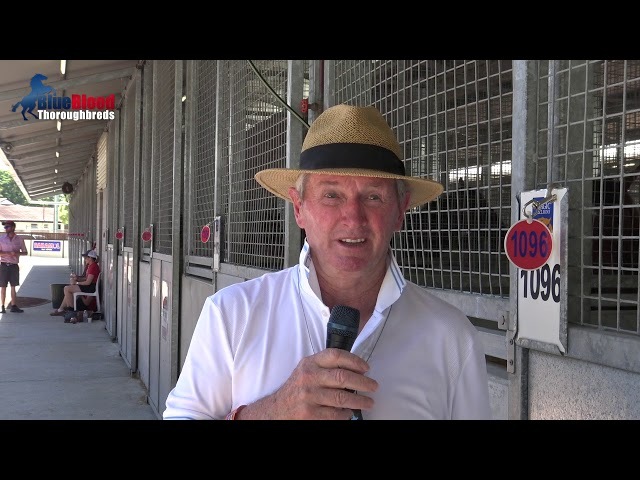 John Hawkes post sale comments, She’s a lovely filly, good strong hindquarters. Plenty of length about her, a real scopey filly. 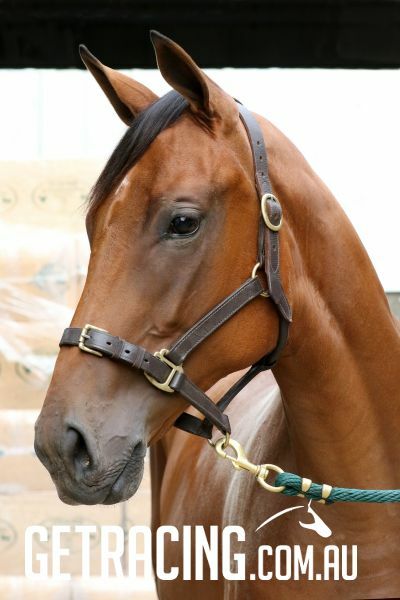 Us at Hawkes Racing are really looking forward in training the filly. Hopefully get to the top of the tree, which is naturally a group one. This filly is perhaps a later 2yo and will be better as a 3yo. Overall she is just a lovely and could not be more pleases to be training her for Blueblood”. The Pride of Dubai filly has just completed being educated at Evergreen Stud by astute breaker Gordon Pratt, he has reported, “We have just finished breaking the Pride of Dubai x Sorority Girl. She broke in really easy. The filly has a lovely temperament on her and she progressed really quickly over the early stages of her breaking. She was a horse that you show her something and she took it on without any dramas or any stress. My first opinion she is very strong well developed filly, she will still keep growing and filling out. She will get stronger as she gets older. All is good she gave a good feel under saddle, a lot to look forward to”. She is rated highly with a Nick Rating of A++. This rating is based on breeding patterns from the Sire and Dam sire line. She passed 100% clean on her scope, x-ray and clinical examination. CHOICE BRO. 8 wins-3 at 2-from 800m to 1600m to 2017-18, Manawatu Sires' Produce S., Gr.1, Taranaki 2YO Classic, Gr.3, ARC Karaka Mile, RL, Toowoomba TC Weetwood H., L, Tattersall's Racing Club H., Marton JC Rural Fuel H., 2d BRC Strawberry Road H., L, 3d ATC Bill Ritchie H., Gr.3, BRC Hampden S., L, Spear Chief H., L, Toowoomba TC Weetwood H., L, 4th ARC Avondale Guineas, Gr.2. PURE OF HEART. 5 wins to 1400m, STC George Ryder S., Gr.1, VATC Autumn S., Gr.3, VRC Sunshine H., VATC Holiday S., 2d VATC Marlboro Cup, Gr.1, STC Rosemount Wines Classic, Gr.2, 3d VRC Newmarket H., Gr.1, SAJC Spring S., Gr.2, 4th VRC Lightning S., Gr.2. Freshaman sire standing at Coolmore Stud, PRIDE OF DUBAI is the fastest 2yo by Champion sire STREET CRY. The only horse to complete the Gr.1 Blue Diamond Stakes and Gr.1 Sires’ Produce Stakes double. His progeny has been sought after and he is throwing great types. SORORITY GIRL by Stravinsky was a 2 time winner and has been a good producer, she is the half-sister to multiple group winner HAPPY GIGGLE and stakes performer HAPPY SPRING. Sorority Girl has had 3 foals to race for 2 winners Six Sigma and Genetics. Six Sigma is lightly raced only having 10 starts to date. She has been in the top 3 on 6 occasions all in town including 2 wins. Genetics is also a 2 time winner. Broodmare sire STRAVINSKY has proven himself time and time again. Sire of 13 Group One winners including Russian Revolution, Lankan Rupee and Mosheen to name a few. He has had 82 individual black type winners and earnings over $115 million. John Hawkes is now acknowledged as one of the all-time great racehorse trainers with a record remarkable for its longevity and sheer consistency. He has won 10 national trainers' premierships, nine Sydney premierships, a six-time leading Group 1 trainer and nine-time leading stakes-winning trainer. He has prepared a string of champions over the past two decades including two, Horse of the Year winners, Octagonal and Lonhro and has led in more than 5000 race winners, including 98 Group 1 successes and was inducted into the Australian Racing Hall of Fame in 2004. There have been numerous top class racehorses to emerge from the Hawkes stables including, Octagonal, Lonhro, Unworldly, Accomplice, Arena, Over, Guineas, Shame, Viscount, Freemason, Niello, Railings, Mnemosyne, Forensics, Camarilla, Paratroopers, Fiumicino, Mentality, Real Saga and rising star, Love Conquers All. "Climbing the mountain and getting to the top is difficult but staying there is much harder," John Hawkes once said. "Racing is so competitive these days, there are a lot of good trainers, and it takes a lot of hard work behind the scenes to stay there and not start sliding down the other side." Although the Hawkes Racing Team training partnership was officially sanctioned in 2008, Wayne said the successful training systems that were first put in place 15 years earlier at Crown Lodge remain the blueprint for the stable's continued success. Wayne Hawkes also admits working with family has some advantages and disadvantages. "Sometimes it is not easy working with family, but in tough times you can’t beat family support and strength!" When the family established a training partnership in 2008 (Hawkes Racing). Michael Hawkes returned to Sydney to take charge of Rosehill Gardens, working alongside his father. "I suppose you could say dad is the brains and Wayne and I are the youth. I think it is a pretty good partnership. We are lucky we have each other”. Hawkes Racing Team Group one success include ESTIJAB (Longlines Golden Slipper), CHAUTAUQUA (TJ Smith Stakes - twice, HKJC Chairman's Sprint Prize, Black Caviar Lighting, Manikato Stakes), DIVINE PROPHET (Caulfield Guineas), INFERENCE (Randwick Guineas), MOSSFUN (Toohey New Golden Slipper), ALL TOO HARD (All Aged Stakes, Futurity Stakes, C.F Orr Stakes, Caulfield Guineas), NIWOT (Sydney Cup). Share Price Includes - Purchase Price, Agistment, Nominations, X-Rays and Scoping, Mortality Insurance to 31st January 2020 and any other associated costs. Six Sigma (g by Pierro) 2 wins at 1200m, 1350m in 2018-19, BRC TAB Baylee Nothdurft H., 2d BRC Paddyfest 2019 H., 3d BRC Qld All Trades H.
Genetics (g by Fastnet Rock) 2 wins at 1400m, 1600m to 2018-19 in Aust. HAPPY GIGGLE (c Rory's Jester) 4 wins at 2, A$274,250, VRC Maribyrnong P., Gr.2, VATC Blue Diamond Prelude (c&g), Gr.3, VRC Maribyrnong Trial S., L, VATC Merson Cooper S., L. Sire. Bumble Baby. 2 wins at 1000m to 2018-19, HKJC Chengdu H., Elizabeth Arden H., 2d HKJC Chai Wan Road H., World-Class Leadership H., 3d HKJC Lockhart H., Man Cheung H.
Carda Mojo. 3 wins to 1350m to 2017-18, 3d Ipswich TC Sky Racing P.
Fast Spring. 2 wins at 1100m, 3d WATC Super Saturday H.
Rampaging - Ready to Celebrate (H.K.). Winner at 2, ATC Super Saver 2YO P., 2d ATC Canterbury BMW 6 Series Grand Coupe H., HKJC Yik Yam H., 3d ATC Inglis Australian Easter Yearling 2YO P.
Secret Charge. 6 wins to 1250m to 2018-19, 2d WATC $5 Early Bird Admission H., Young Membership H.
Lonaro. 5 wins from 1100m to 1650m, BRC Nuturf Specialists Providing Solutions H., TRC Raine & Horne H., 2d TTC Tote.com.au H., 3d TTC Stanley Robert McDougall VC H., TRC Boag's Draught H.
Breitling. 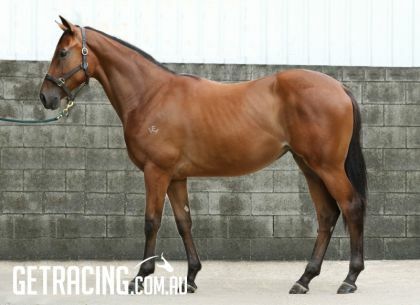 Winner at 2, A$175,700, MRC Inglis 2YO Bonus H., 2d VRC Thebigscreencompany 2YO P., MRC Moorabbin Steel P.
Charleise (f Foxwedge) Placed at 2 in 2018-19, 3d VRC Talindert S., L.
Byword. 5 wins to 1500m, A$80,175, STC Cathay Pacific H., 2d STC MJ Seymour & Co Trophy H.
Result. 3 wins from 2000m to 2400m in Aust. Universal Soldier. 2 wins at 1600m in Aust. Sorority Girl. 2 wins. See above. SEASIDE (f Redoute's Choice) 4 wins-1 at 2-to 1400m, A$300,710, Scone RC Dark Jewel Classic, Gr.3, ATC Hyland Race Colours H., Bowermans Office Furniture 2YO H., MVRC LF Sign Group H., 2d ATC Woolworths 2YO H., 4th VRC Frances Tressady S., Gr.3. Producer. ONLY SHE CAN (f Marju) 3 wins from 1000m to 1800m, R161,690, Fairview Lady's Bracelet H., L. Producer. CHANTSKI (f War Chant) 4 wins at 2, A$309,800, WATC Gimcrack S., Gr.3, Westspeed 2YO P.-3 times, 2d WATC Supremacy S., L, Westspeed 3YO P.
Sorority. 2 wins. See above.